RUVIVAL Reading Section is where RUVIVAL Publication Series, as well as RUVIVAL Books are published. The publications are a collaboration of Master students, PhD students and researchers at the Institute of Wastewater Management and Water Protection (AWW) at Hamburg University of Technology. They are concerned with restoring degraded areas and creating new, not just inhabitable, but liveable spaces. Each publication is connected to further interactive multimedia material, which can be found in the Toolbox. 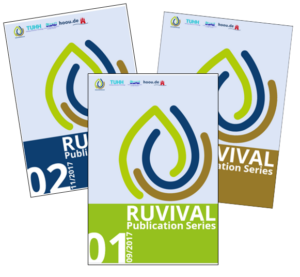 RUVIVAL Publication Series are a collection of literature reviews on pressing issues in the context of sustainable rural development. RUVIVAL Book Series provide a deeper and more detailed insight into RUVIVAL Topics. 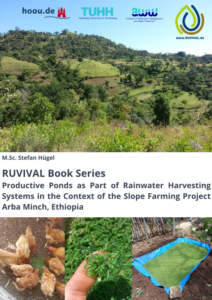 All RUVIVAL publications are available for download via the Open Access Repository of Hamburg University of Technology.